Three Bare Windows Behind Large Black Sofas In Empty Room At.. Stock Photo, Picture And Royalty Free Image. Image 58523432. 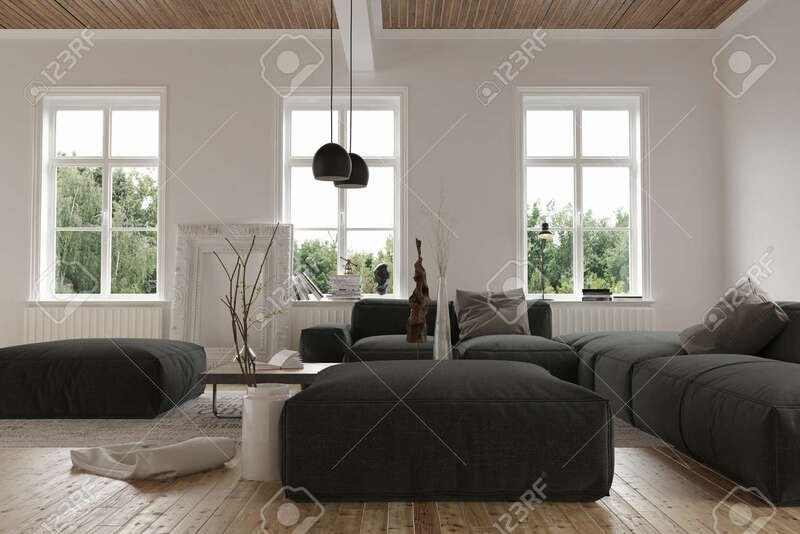 Stock Photo - Three bare windows behind large black sofas in empty room at second story level with wooden floor. 3d Rendering. Three bare windows behind large black sofas in empty room at second story level with wooden floor. 3d Rendering.